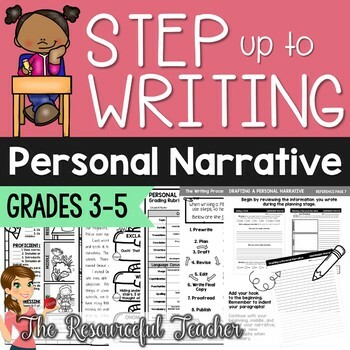 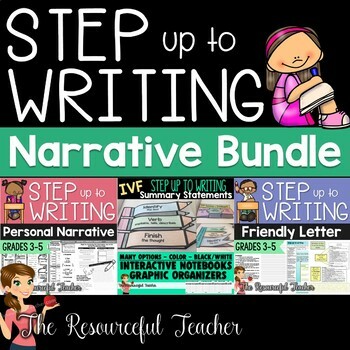 Teach your students great writing skills by organizing their ideas using this amazing Step up to Writing Bundle - Narrative Writing by The Resourceful Teacher. 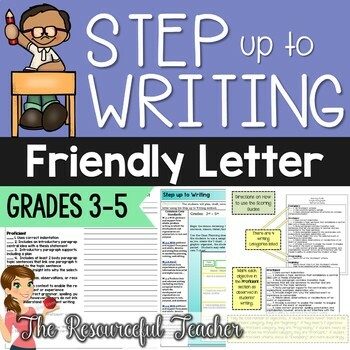 This Step up to Writing Bundle has 119 pages of Step up to Writing Activities with lesson plans, handouts, posters, teacher tips, practice pages, samples, answer keys, and rubrics. 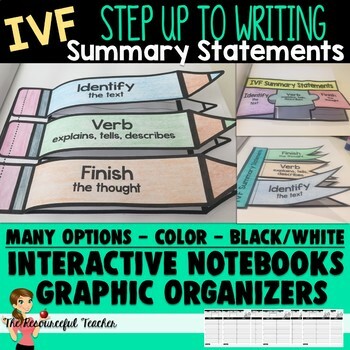 The Step up to Writing Packets for students includes class practice T-charts, independent T-charts, rough draft pages, and final copy pages.